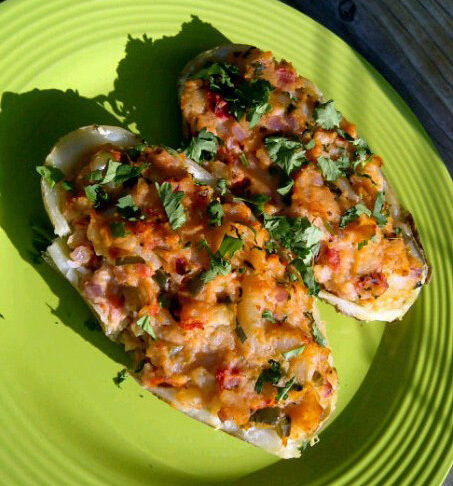 These twice baked potatoes are one of the dishes that my husband requests over and over again. They are hands down the most flavorful twice baked potatoes and pair perfectly with grilled meats. This dish combines all the best flavors of Tex Mex with the decadence of a twice baked potato. These Tex Mex Twice Baked Potatoes are naturally gluten free. I make mine using a soft goat's milk cheese; however, they would be wonderful and completely dairy free using a dairy free sour cream. Prick each potato a few times with a fork. Bake in a 400 F oven until tender (about 1 1/4 hours). Meanwhile, saute the peppers, onions, and garlic in the olive oil. Once the vegetables are tender, add the tomatoes, paprika, seasoned salt and pepper. Continue to cook until most of the liquid is absorbed. Unwrap the potatoes and allow to cool slightly. Once cool enough to handle, cut each potato in half lengthwise and scoop out the tender flesh leaving a 1/4" shell. Mash the scooped out potatoes with the sauteed vegetables, margarine and goat's milk cheese. Fill the potato shells with the mashed mixture. Bake at 375 F until everything is heated through and the tops are slightly crispy. Top with more chopped fresh cilantro if desired. Sounds delicious! I'd love to try these with dairy free cheese. They are excellent with dairy free cheese as well. I have also used Follow Your Hear Vegan Mozzarella in place of the goat cheese and/or dairy free sour cream. I am going to try these! We are Texans, and my family craves Tex-Mex at least once a week! Thanks for the good recipe! Jackie - I hope that you try them and love them as much as we do! Awesome, Sophie! We love these potatoes :) So happy that you do as well. 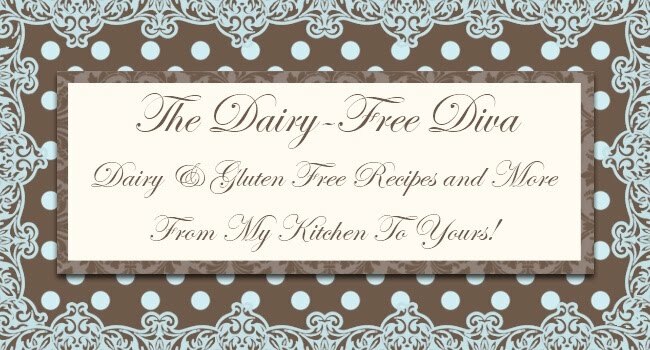 We are casein (dairy protein) free in our home, and I am also trying to not use soy products. what would you suggest as a dairy free sour cream or cheese? We have only tried the Daiya cheese. Maybe one of the cashew cheeses would work for this if you are trying to avoid soy as well. blogs on the internet. I am going to highly recommend this website!